Alabama U.S. Senate candidate Doug Jones is quiet about his positions on gun laws, but it is clear that he supports expanding background checks to gun shows. Forcing gun show attendees to undergo a mandatory federal background check would not have prevented even one mass shooting in recent memory, but it would make grandpa’s trip to the gun show a more cumbersome task. In turn, grandpa may even forgo buying a collectible firearm as a way to avoid putting his name in a database via Jones’ gun show background check. Finding Jones’ position on gun issues is not easy. 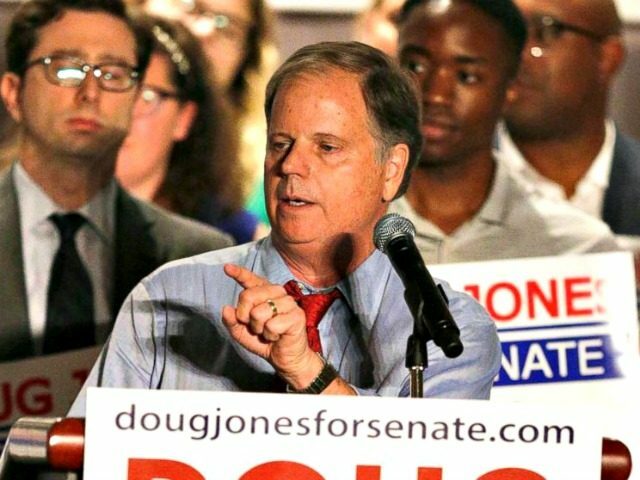 As VoteSmart reports, “Doug Jones has refused to provide voters with positions on key issues covered by the 2017 Political Courage Test, despite repeated requests.” A copy of the 2016 VoteSmart Political Courage Test shows one simple question on guns: “Do you generally support gun-control legislation?” The candidate can answer by either checking “yes” or “no.” There are additional lines below the question where the candidate can explain which gun controls he supports.